eCopy Desktop 8.x in a box no longer shipping. 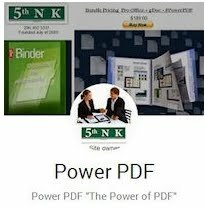 Can't upgrade must buy new "pdf pro office"
"Today as of January 1 2014"
I want to thank Scott for coming to my rescue when I needed some assistance with this program. His response was extremely quick and his instructions were spot on. The frustration I was having soon disappeared as the difficulty was taken care of. Thank you!